the Detroit Symphony Orchestra, Detroit Chamber Winds and Strings, Kalamazoo Symphony, Toledo Symphony, Warren Symphony and the Southern Great Lakes Symphony. 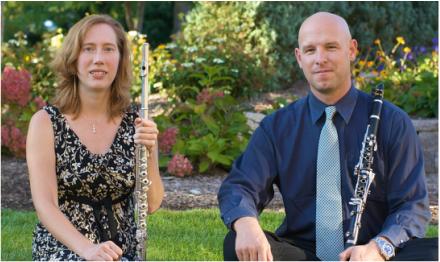 She also performs regularly as a soloist, and with her husband, clarinetist Sam Martin, as the Martin Wind Duo. Ms. Martin is the flute instructor at Madonna University and the Rudolf Steiner School in Ann Arbor. She has been teaching privately for over 15 years, and also has experience coaching sectionals and presenting master classes. Ms. Martin holds a Bachelor of Music from Wayne State Univ.